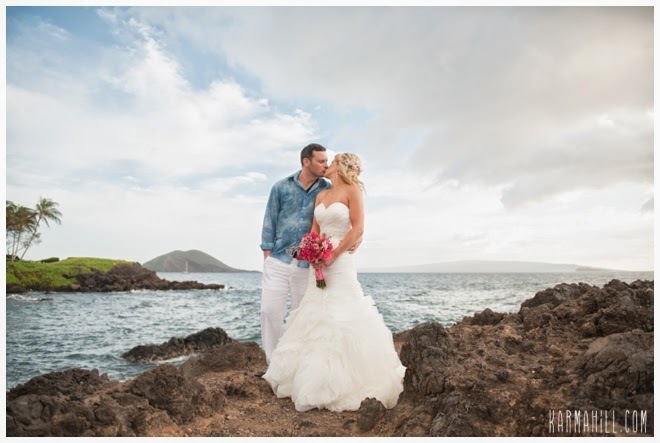 Sarah & Aaron traveled all the way from the East Coast to celebrate their beautiful Maui venue wedding. 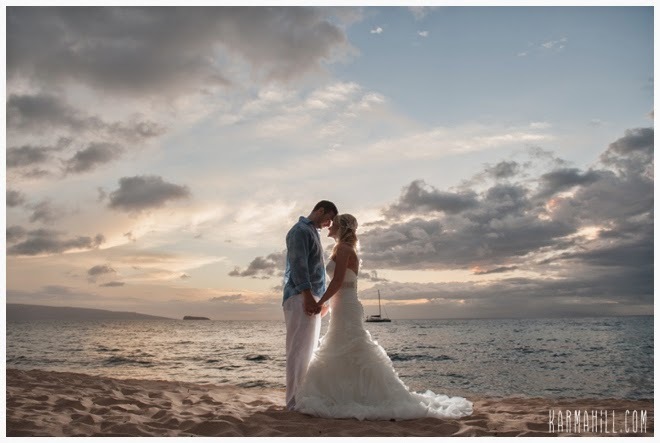 Staff photographer Naomi began with Sarah at the Wailea Marriott for her getting ready photos. 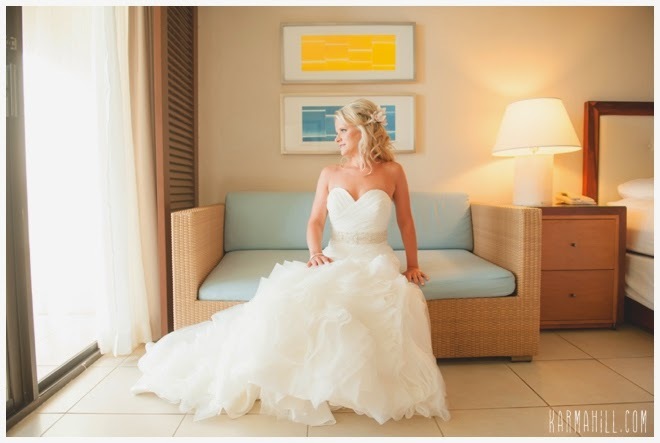 Sarah looks absolutely stunning in her trumpet cut wedding gown. 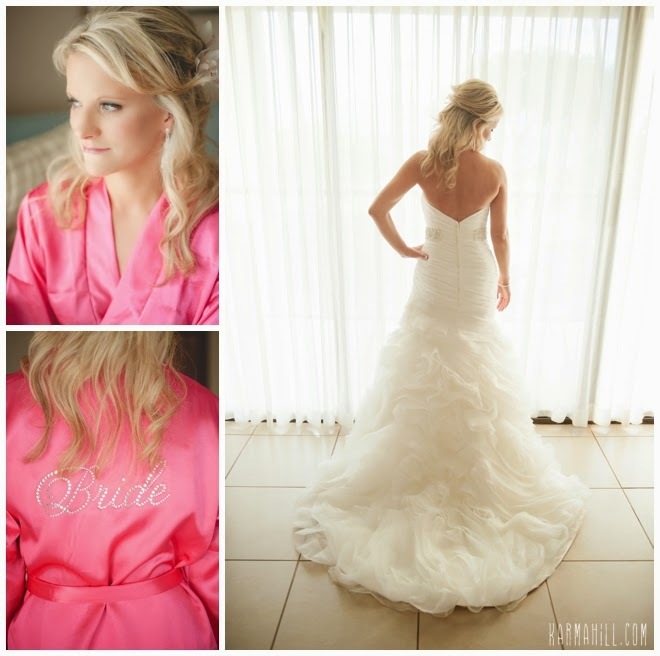 We always enjoy when brides have fun details like her hot pink Bride robe and her personalized hanger. 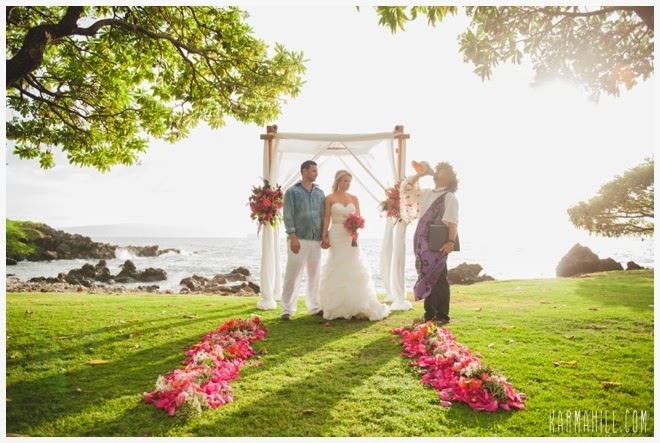 We continued coverage at Kukahiko Estate where Dellables created an elaborate and gorgeous pink floral walkway and arch. 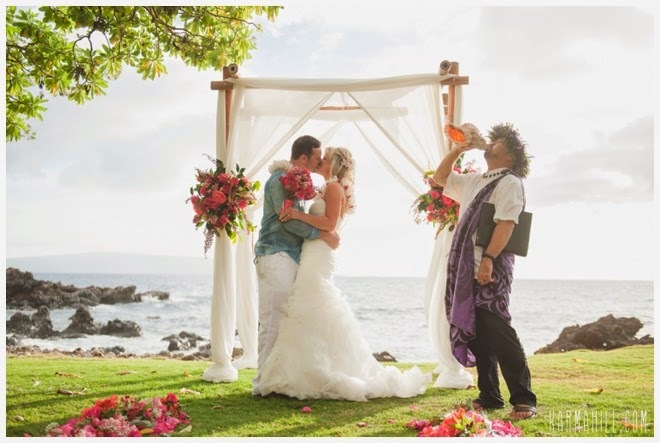 The ceremony was officiated by Reverend Kimo Kirkman. 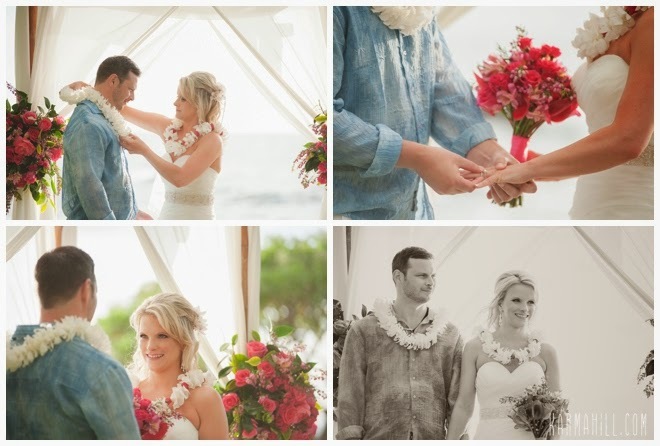 Sarah & Aaron exchanged vows and rings while overlooking the calm ocean. 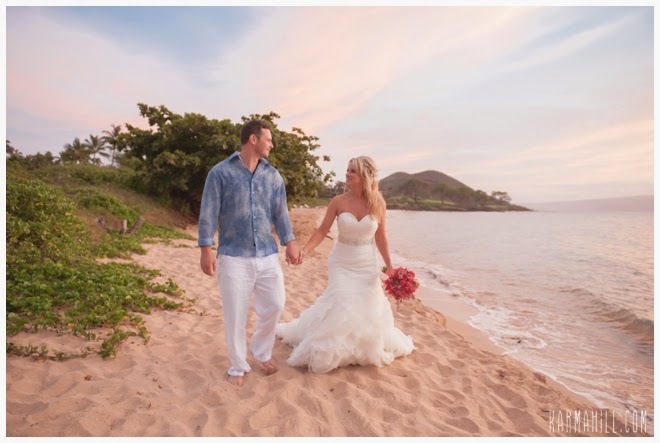 Naomi took some romantic couples photos with Sarah & Aaron on the property of the estate before taking them to Maluaka Beach where they ended with the sunset. 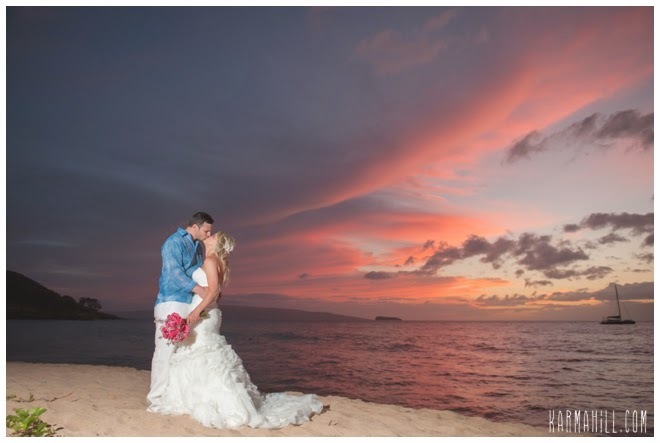 They were so lucky to have such a gorgeous colorful sunset on their Maui wedding day. 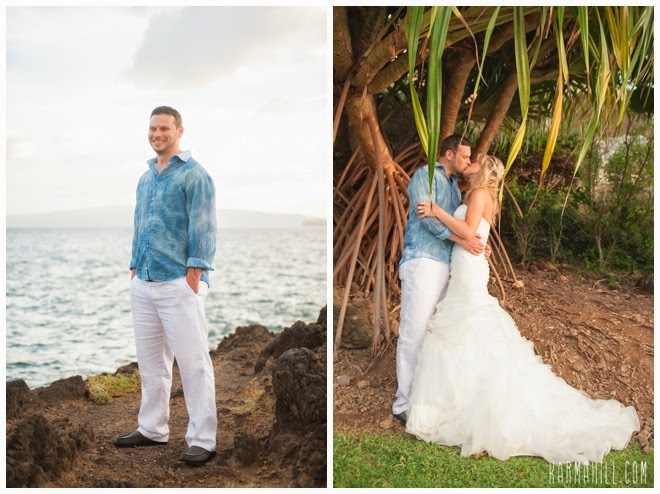 Thank you so much Sarah & Aaron for having Simple Maui Wedding be such a big part of your wedding day! 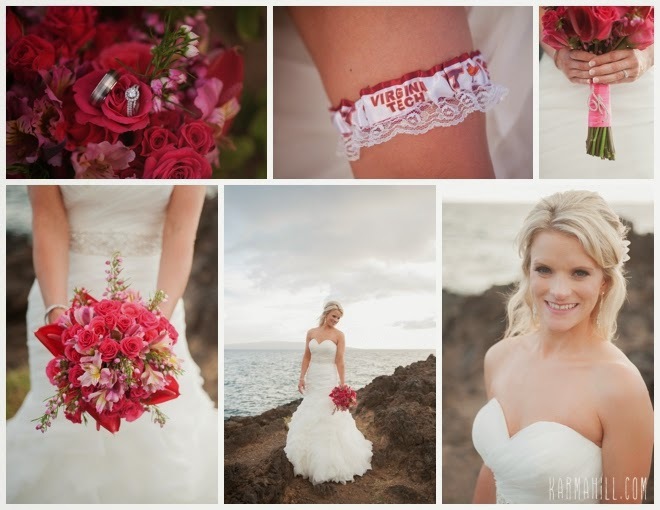 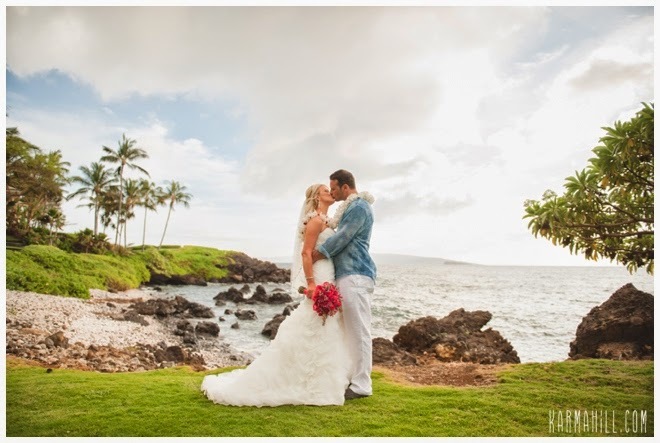 Check out our last Maui venue wedding with Chris & Jessica!